The Bike Blog. 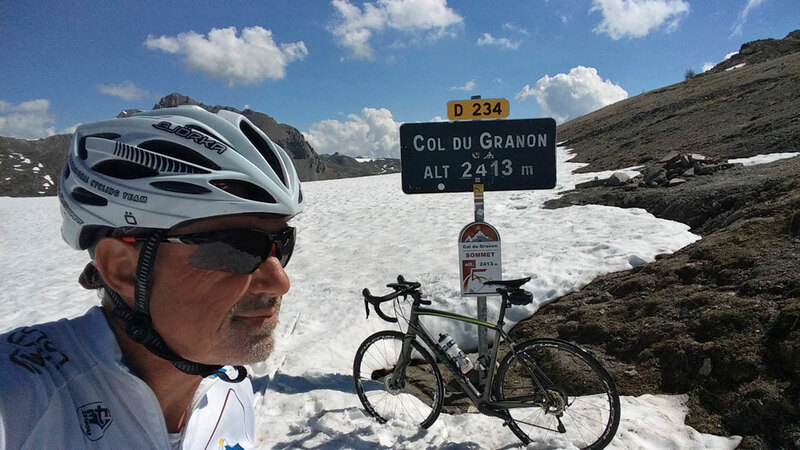 May Back out in the mountains and still a lot of snow high up making for some spectacular riding scenery and still beginning of May some Cols like the Granon still have snow at altitude. 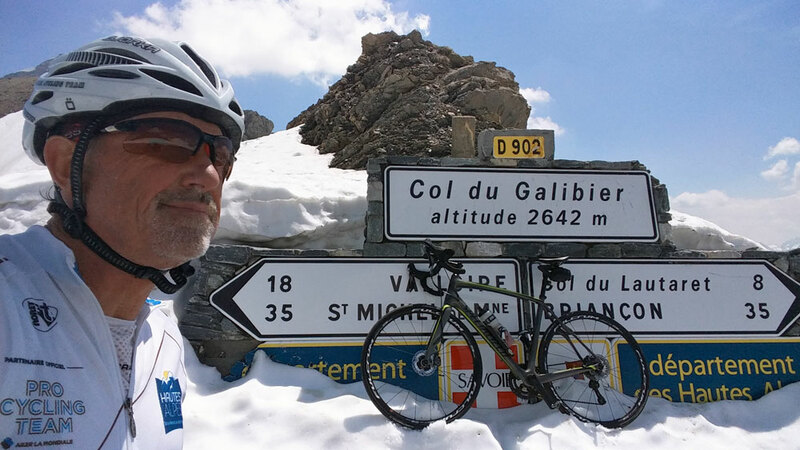 The weather and conditions in May are as challenging as ever in the mountains for cycling. 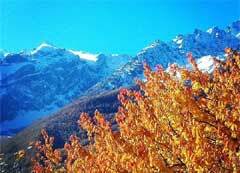 There's snow up high, summer thunder storms and hot sun to contend with. 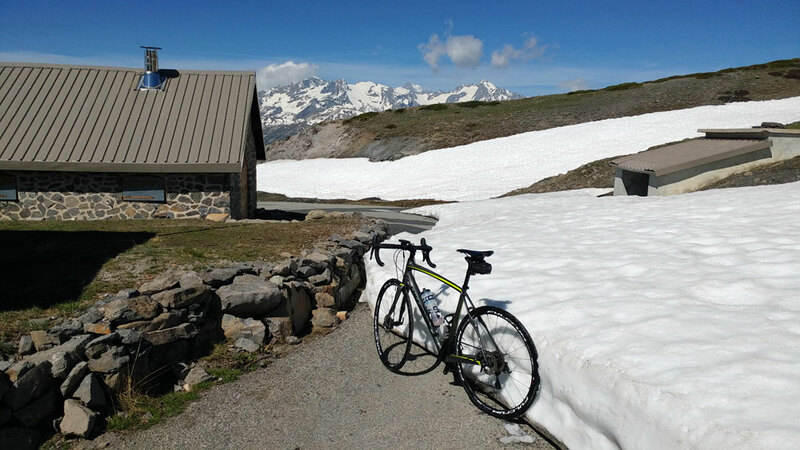 Decided to cycle up the Col de Granon in the morning to see if the road was open all the way. At the bottom a sign said 9km and as I cycled up I noticed that the KM markers were not up yet. About a km from the Col there was snow in places across the road but enough space to cycle along, though by the barracks I had to get off and walk around. And at the top I had to walk across 25cm of snow to take the ubiquitous 'selfie'! 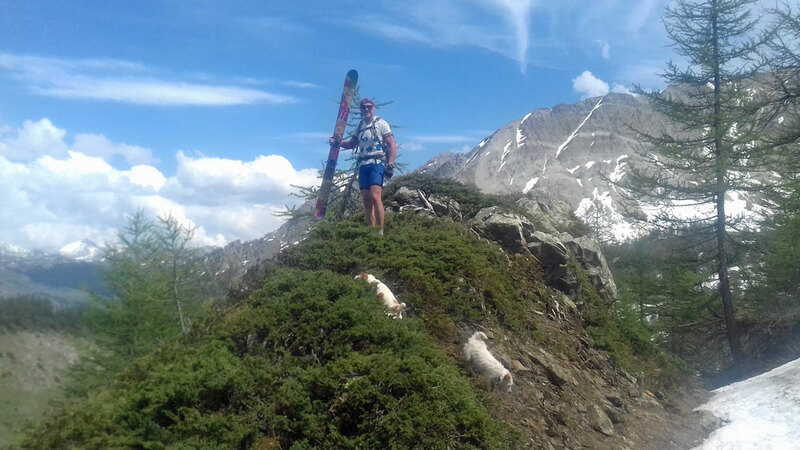 Once back down a little rest then Part 2 of the day's activities, to go and find the ski I lost back in February when I was caught in an avalanche off the Cibouit traverse in the trees in Serre Chevalier. I did start out on the MTB but I was just too tired as it was very steep up the Tabuc piste, so I hid the bike (locking it to a tree) and hiked up. At the time when I lost the ski, I failed to mark my location with the GPS so this was really a case of a needle in a haystack. However we did find two others skis including the Rossignol Scratch (below) but alas not mine. Nigh on four weeks ago I was scoring superb end of season powder up from the Lautaret, yesterday I was cycling up to the Lautaret with temps in the mid 20's! The morning started off looking quite grim with the real threat of rain, but slowly the weather cleared and I thought a quick spin up to the Col du Galibier was in order. The road only opened last week and, as you can see towards the top, on certain aspects there's still a fair amount of snow. The final km up from the tunnel to the Col is closed to traffic but it's possible to squeeze around the barrier and then cycle to the top where there was quite a chill breeze blowing. And there were a fair number of cyclists on the mountain, many Dutch as now it's Dutch Week in Alpe d'Huez / Bourg Oisans where on Thursday individuals and teams ascend the 21 bends six times raising money for Cancer Research. I just hope that the weather's good as it's looking quite volatile at the moment, so best to get out early!